Actress Nia Sharma is all set for the second season of her famous web-series Twisted. Nia, 27, is posting pictures from the sets of her show, which is produced by Vikram Bhatt and it also stars Rrahul Sudhir. 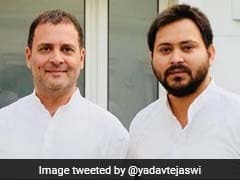 Nia shared a few pictures which swiftly topped the trends list. In one picture, Nia sports dramatic curls and make-up and she captioned the photo: "Somewhere in my La La Land... inside the vanity of Twisted 2 and with @cashmakeupartistry with me like peas in a pod... I afford to look like this." Nia Sharma is definitely 'twisting' (pun intended) the glam game for the new season of the web-series in her favour. Somewhere in my la la land...inside the vanity of #twisted2 and with @cashmakeupartistry with me like peas in a pod.. I afford to look like this. Here are some more photos from the sets of Twisted 2. The first season Twisted featured in headlines after a controversial intimate scene between Nia and her co-star Isha Sharma went viral. The show's bold and subversive content kept Nia and the team of Twisted in the limelight for months. Nia debuted on the small screen in 2010 show Kaali - Ek Agnipariksha and followed it up with shows like Ek Hazaaron Mein Meri Behna Hai and Jamai Raja. Nia primarily featured in typical saas bahu daily soaps and Twisted was a drastic shift for Nia Sharma. "TV isn't a wide medium when it comes to boldness on the small screen because of the audience. It reaches out to the audience but keeping the traditions intact. The only medium where people are truly exploring themselves and going out to experiment is the digital space," Nia told news agency PTI before she featured in Twisted. Twisted 2 is directed by Anupam Santosh Saroj. 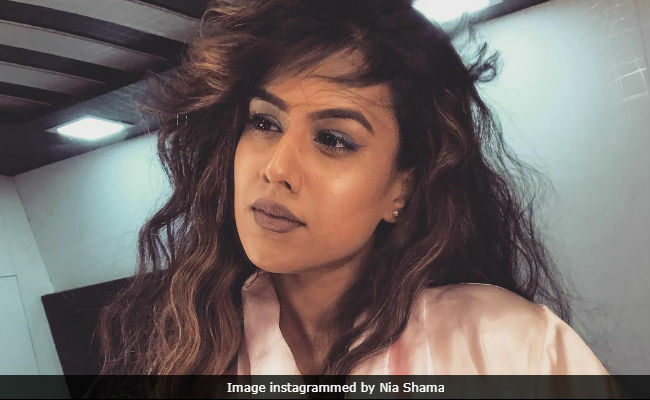 Nia Sharma Halloween Make-Up Gets Her Trolled. Yay Or Nay?